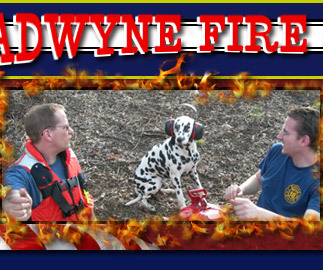 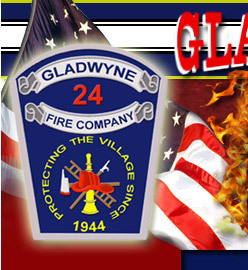 Gladwyne Firefighters were dispatched to a car fire this evening. 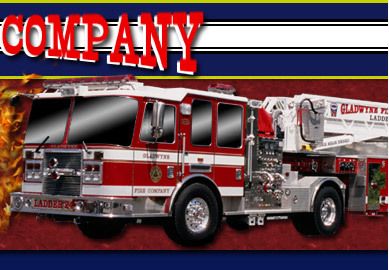 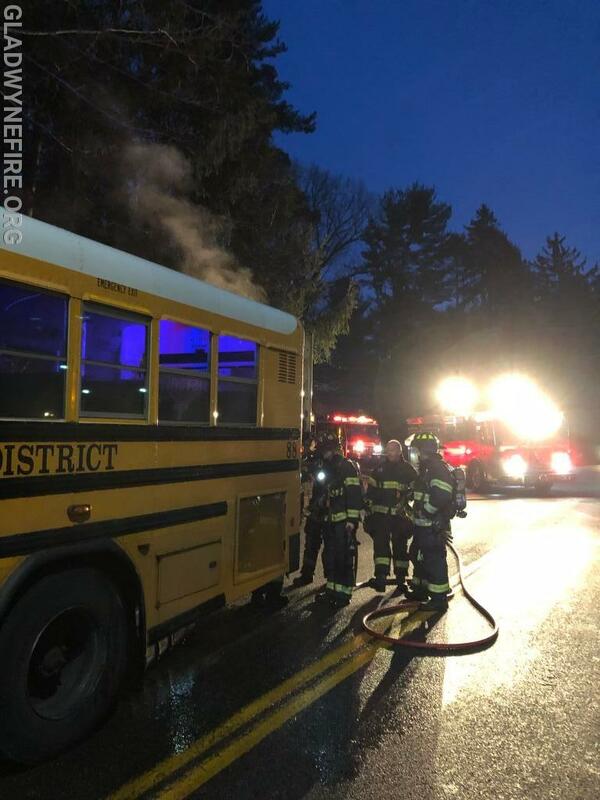 Engine 24 responded just after the dispatch was over with a crew of 8. 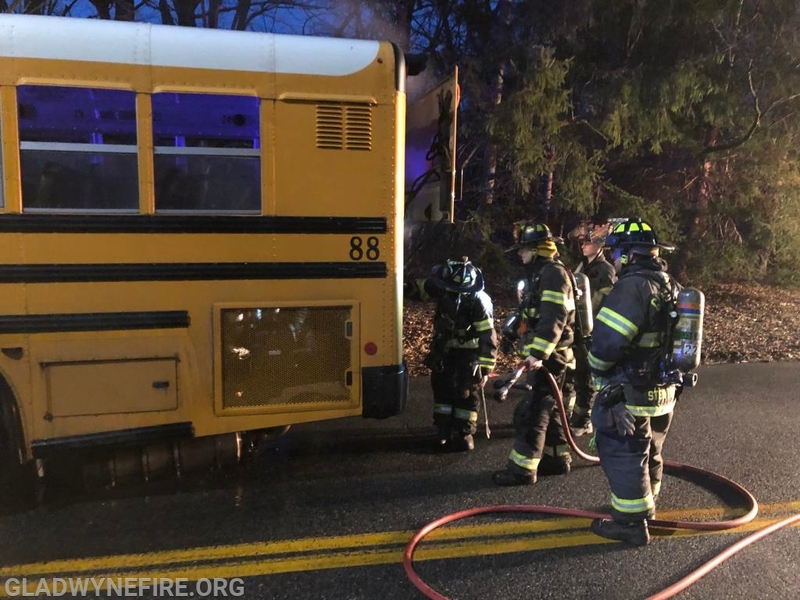 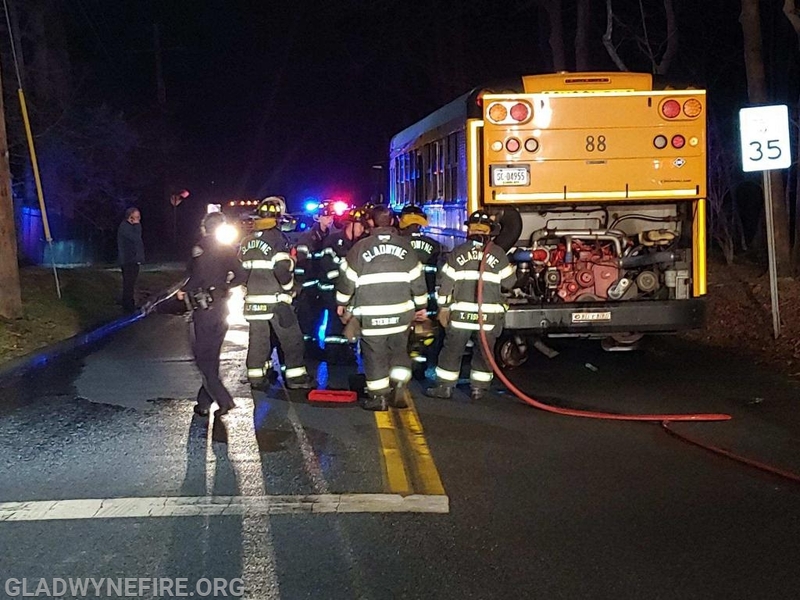 Upon arrival we found a Lower Merion Township School Bus with a small fire In the area of the engine (rear of the bus). 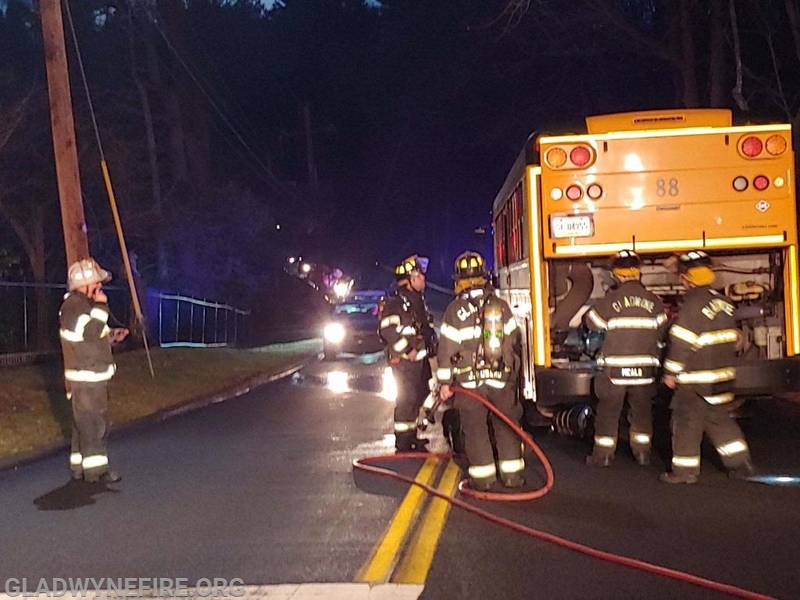 There were no kids on the bus and the driver exited the bus after getting it in park. 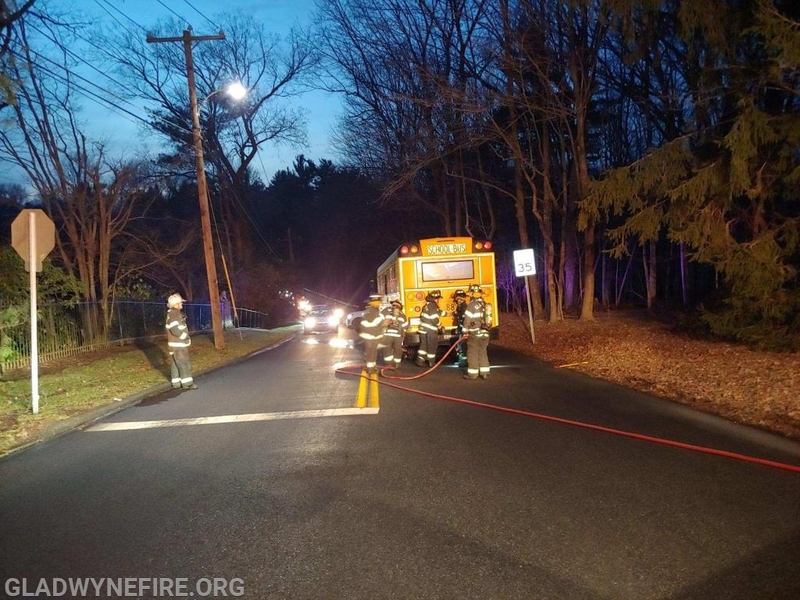 Gladwyne Firefighters shut off the CNG (compresses natural gas), disconnected the battery and extinguished the fire.